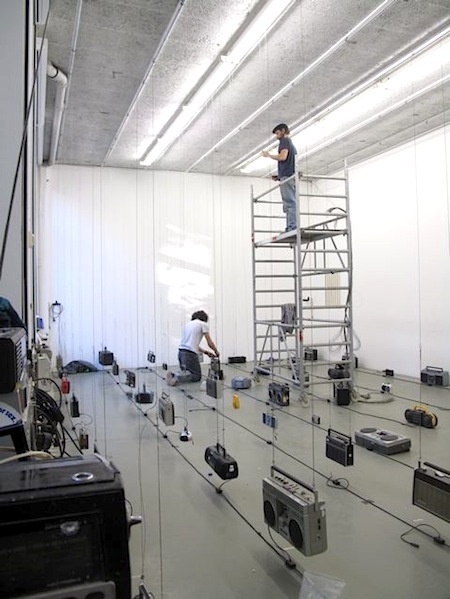 Like last year, also this December month in Maastricht Resonance will showcase a selection of the sound art works that were produced for the network. There are three of them, all hosted by the Jan van Eyck Academy, at the Academieplein 1. No more premieres, this time, as all eight works that were planned as part of this phase of the Resonance project, by now have been finalized. Still, for many visitors it will be a first encounter. And those that did see earlier installments of some or all of the works, will be able to investigate and experience how these pieces change and evolve from one space to the other. The opening of this second edition of Resonance in Maastricht will take place on Friday December 9th, at 16h, at the Jan van Eyck Academy in Maastricht. On Sunday December 18th, as part of the Resonance in Maastricht events, Dutch pianist Albert van Veenendaal, who recently released a new solo CD, Minimal Damage, will perform a special prepared piano concert at the Jan Van Eyck Academy, at 17h. Entrance for the exhibition, as well as for the concert, is free. 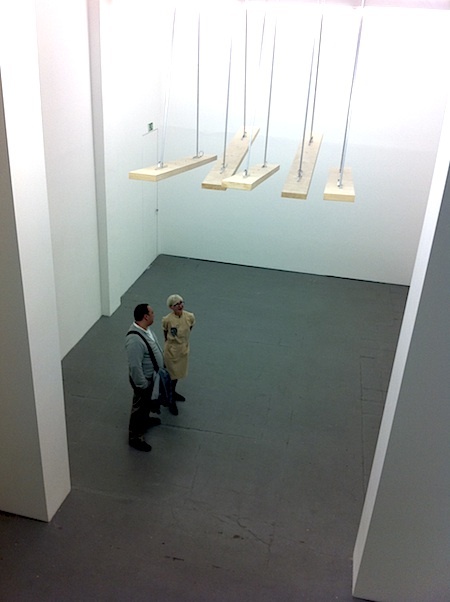 The pieces included in the exhibition, are those by Evelina Deicmane, Paul Devens and Maia Urstad. Evelina Deicmane‘s A long Day premiered in Kunsthaus Meinblau in Berlin, last August, then travelled to Riga, where it was part of this autumn’s presentation of Resonance works by the network’s associated partner Skanu Mesz. The second work on show this time in Maastricht, is City Chase, by native Maastricht sound artist Paul Devens. City Chase premiered at the Resonance presentation Sound City (De Klinkende Stad), as part of this year’s Festival of Flanders in Kortrijk, Belgium. 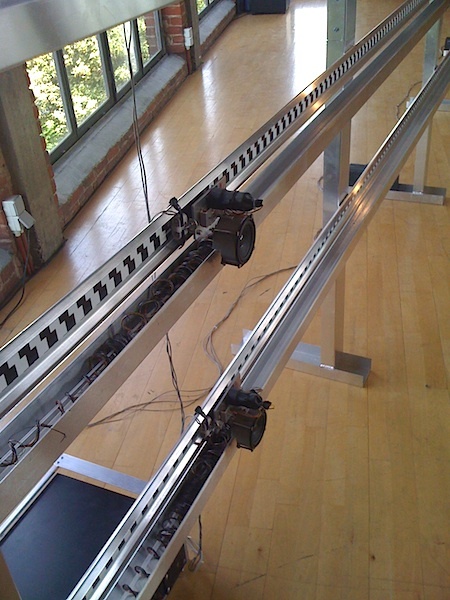 Paul did a second presentation of the work in November in Krakow, Poland, at the Audio Art Festival 2011, another of the Resonance network’s associated partners. In this third installment of the work, Paul will chase and map the city of Maastricht, where he was born and raised, and has lived and worked ever since. Meanwhile at the Jan van Eyck Academy in Maastricht, another bunch of transistor radio’s is deligently being installed for a third rendition of this fascinating, ethereal work, that, like the pieces by Evelina Deicmane and Paul Devens can be seen, heard and experienced all of this December month as part of the Resonance network’s showcase in Maastricht, the Netherlands. This year’s edition of Resonance in Maastricht opens on December 9th, 16h, at the Jan van Eyck Academy, Academieplein 1, Maastricht (the Netherlands). Albert van Veenendaal will perform a special prepared piano concert, on December 18th, 17h, also at the Jan van Eyck Academy. The pieces by Evelina Deicmane, Paul Devens and Maia Urstad can be visited there every week from Wednesday until Sunday, between 11h and 17h, until December 30th (except on December 24th and 25th). Entrance is free. 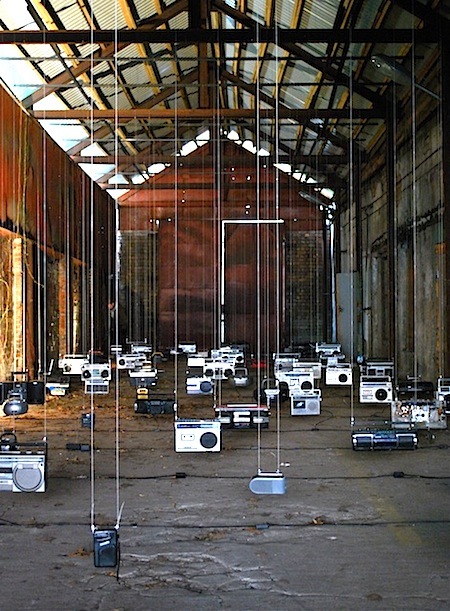 You are currently reading Resonance in Maastricht – 2nd edition at Resonance - European sound art network.